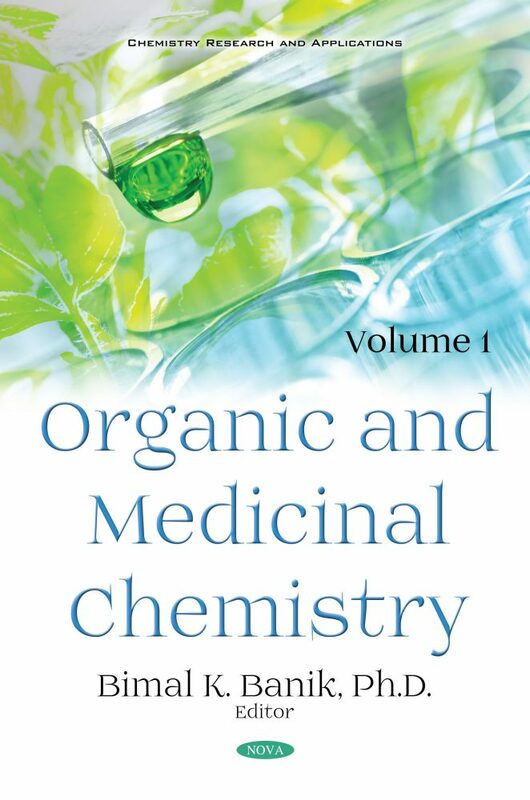 Organic and Medicinal Chemistry discusses the principal branches of chemistry, as they are more widely studied than any other subjects in chemistry. Very often, organic and medicinal chemistry have been defined collectively as a hybrid discipline of many other subjects, particularly biology, chemistry, medicine and pharmacy. The synthesis of molecules, mechanism of a process, studies of new reagents, natural products, and biological and pharmacological evaluation of molecules against different components of cells are the key subjects in these two areas. On the basis of unlimited possibilities, one can imagine several scopes that exist for students, researchers and industrialists to study and explore organic and medicinal chemistry. In this book, an attempt has been made to include diverse research topics to benefit the readers from different standpoints. This book has eighteen chapters from active authors who hail to different nations. Bhalla and his group have written five chapters in this book. In the first chapter, Bhalla et al. have reported recent trends in nitrone-olefin cycloaddition reaction for the preparation of biologically active molecules. In the second chapter, Bhalla and Narula have reported the synthesis of medicinally important compounds via several organic transformations using DDQ. In the third chapter, Saini and Bhalla have described a benzoxazole scaffold for effective drug design in therapeutic drug design. In the fourth chapter, Berry and Bhalla have demonstrated recent progress on the pharmacological profile of pyrazole and imidazole conjugates. In the fifth chapter, Kumari and Bhalla have explored the synthesis of optically active beta lactams. Sahoo et al. have reported the therapeutic potential of pyrimidine-related new drug in Chapter Six. Sahoo et al. have demonstrated the new medicinal and pharmacological importance of thiazolidinones in Chapter Seven. Sahoo and Banik have explored the new quinazolines synthesis and their medicinal and pharmacological properties in Chapter Eight. Perchyonok has described natural biomaterials for veterinary therapy through an in vitro approach in the ninth chapter. In Chapter Ten, Perchyonok et al. have reported studies on cytotoxicity biomaterials containing chitosan hydrogels. Philips has demonstrated the synthesis and applications of pharmacologically relevant phosphonates and phosphinites in Chapter Eleven. Basu and Banik have explored apoptosis in the inhibition of cancer in Chapter Twelve. In Chapter Thirteen, Maiti et al. have investigated the synthesis and medicinal chemistry of isoxazolines and their analogues. Maji and Ganguly have demonstrated the use of mushroom as a food in Chapter Fourteen. Bandyopadhyay et al. have studied key enzymes that are responsible in cancer and their mechanism of action in Chapter Fifteen. The Chapters Sixteen through Eighteen are written by Banik and his group. In Chapter Sixteen, they have explored the synthesis of biologically active pyrroles through a variety of methods. In Chapter Seventeen, an exploration of novel polyaromatic compounds is described by this group. In Chapter Eighteen, Banik et al. have reported the preparation of diverse glycosides using the Ferrier rearrangement. Scientists would be convinced that organic and medicinal chemistry have no boundary in science. The application of these chemical and medicinal sciences is huge and they are related to many significant discoveries. This book will be useful for chemists, biologists, clinicians, pharmacists, biotechnologists, industrialists and engineers who are working in the field of interdisciplinary science as well as specific chemical and medicinal science.